October 7: After initially getting stumped when tasked with turning bottle flipping into a math lesson, Dan Meyer (with the help of commenters) comes through with "I Was Wrong About #BottleFlipping." October 8: This Quanta article was a popular long-read for the weekend. "Meet the New Math, Unlike the Old Math" takes a patient look at the role of standards in math and science education reform. 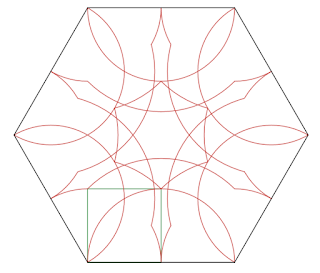 October 9: Here's a rather mesmerizing "Polygon in Polygon," created in Desmos, that illustrates the patterns made by the vertices of a square when it "rolls" around on the inside of different kinds of polygons. 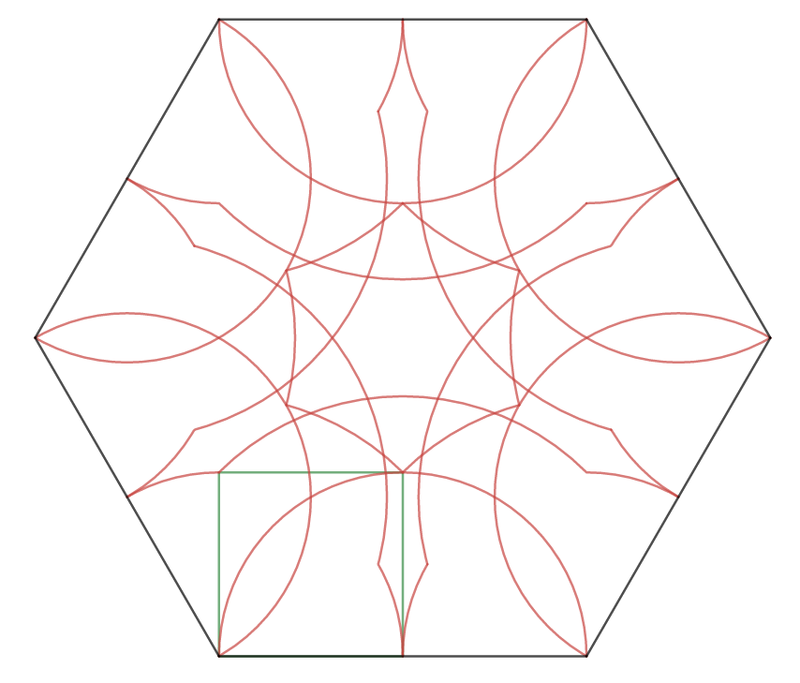 October 10: Graham Fletcher wrote about "Geometric Subitizing: A Different Kind of Number Talk." It certainly looks clever, and I hope teachers of young students who are willing to try it take a bit of a researcher's eye when sharing how the activity works with their students. October 11: It's posts like this that exemplify the rewards I feel for digging through everything that gets shared each week. Joe Schwartz wrote about "Unknown Unknowns," in which by asking students to say everything they know about a figure he finds out so much more than asking them to solve a single problem. October 12: A recent OECD report says "Math Students From High-Performing Countries Memorize Less, PISA Shows." Not too surprisingly, there's also an association between students who say they rely on memorization in mathematics and students who claim higher levels of anxiety towards mathematics. October 13: The website Getting Smart talks about the forthcoming curriculum from Open Up Resources in their post, "Middle School Math: Comprehensive and Open." This week's #TCMchat focused on the article "Assessming Students' Understanding of Fraction Multiplication." Next week it's the #MTMSchat for the middle school crowd, and the free article to be discussed is "All Talk and More Action" by Maryellen Williams-Candek. This week's Global Math Department meeting was "Teaching Ideas to Prepare Your Students for the AP Stats Exam" with Amy Hogan, Bob Lochel, and Doug Tyson. Next week you can look forward to "6 Hand Signals That Bring Learning to Life" with Ellie Cowen and Megan Nee. The November 2016 ZDM is out, and it takes the theme of "Methods for helping early childhood educators to assess and understand young children's mathematical minds." Preparing preschool teachers to use and benefit from formative assessment: the Birthday Party Assessment professional development system by Barbrina Ertle, Adelphi University; Deborah Rosenfeld, Education Development Center, Inc.; Ashley Lewis Presser, Education Development Center, Inc.; and Marion Goldstein, Education Development Center, Inc. I am looking to recruit people interested in doing the work necessary to establish an elementary mathematics specialist endorsement in Colorado. Such an endorsement has been wished-for by quite a number of people in K-12 and higher ed, and we now have an opportunity to do the work in the coming weeks. From the COmath community, I'm especially interested in elementary teachers with extra mathematics training, like a math major or minor, or other specific preparation to teach mathematics. The committee will probably consist of 4-6 representatives from higher ed, 4-6 district math specialists, and 4-6 classroom teachers who have extra training and expertise in mathematics teaching. Volunteers from rural districts would be especially appreciated! Email me if you are interested and I will follow up with more information in the coming days. Math Day at CSU is Thursday, November 3. Math Day is a day of individual and team competitive mathematics for high school students, with scholarships available for high-performing students. The cost is $20 per student and registration is by recommendation of high school teachers. The registration deadline is Monday, October 24. If you have emerging bilingual students in your class, and you want to know more about helping them access mathematical content, there are now two upcoming workshops to attend. Rebekah Ottenbreit of CDE is offering "Teaching Math to English Learners" on October 18 in Grand Junction, and on October 20 in Bayfield. The all-day workshop will offer tools and strategies for making math more accessible to English learners through teaching the Colorado English Proficiency (CELP) standards. You can register for the workshop on the CDE website. Fort Lewis College in Durango is looking for a non-tenure track lecturer with statistics experience. CDE has two jobs which aren't math ed, but they might be of interest to someone who reads this. First, we're looking for an Assessment Principal Consultant who would oversee assessments for Grades 10 and 11. Second we need a Digital Literacy Instructional Specialist who would work in the department and with schools around issues related to ed tech and digital literacy. Registration for next February's conference is open. The focus will be Tier 1 and Tier 2 interventions for K-5 math students, with Dr. Karen Karp as the workshop leader.